Even if I try to press the nurse call button, my vision is narrow, it’s gotten dark, and I don’t even know where it is. This incredibly painful heart, these lungs that won’t breath; they tell me that I don’t have any time left. And even though this is something I’ve prepared myself for countless times, my heart is rejecting this end with all its power; I don’t want to die like this. I lived a life that couldn’t bring joy to a single person. I became bound to a bed before I entered school, so I don’t have a single friend. Even the nurses that treated me kindly drew the line of our relationship as a professional one. I know that even my parents, somewhere in their hearts, thought badly of this weak life of mine that wouldn’t die all this time. I’m sure that even if I die, everyone will forget me. These white sheets, this pile of books, the mechanical sounds of this medical equipment; that’s all that exists in this world that surrounds me. Memories of running about under the sun, were something impossible for me to have. I’ve never played with somebody with all my might, nor gotten in a fight with anyone. Aaah, really, what a sad life. Being all alone like this, isn’t how I want to die. But, it isn’t as though these feelings won’t take away the pain that my heart feels. Even if I call for the nurses, I’ll die. I reach out my trembling hand, to the book on the table beside me. I might not be able to reach it. I might not be able to hold it. even if this life of mine doesn’t leave anything behind, at the very end, I want to die feeling happy. I want to touch this beloved, adored, dream-like, hope-filled book of mine. If I can be born again, this time, I want to live like him. My stretched out hand, dropped to the white sheets, empty. It’s here! The first of the teasers! Excitement all abound!! X.x the funny thing is, I can’t tell exactly which teaser this prologue is for! The setup is pretty sad though, and the MC mentions a boy. I’m assuming they’re referring to a fictional character but I cannot be sure. Anyway thanks for the chapter Est! Ahhh I’m dying to know what story this is from LOL. Assuming this is amongst the list previously posted. The others were related to otome game or seemingly older than this one. This is really hard to read on my phone. Black words on a dark grey background. Omg don’t make me remember those feels. More hint-o pls? Hmm the word STRONKEST makes me think this might be that Drifter story. She seems like the only one that would care about BECOMING STRONK. But there’s still not enough information! Lets see.. it’s probably not Destruction Flag since Caterina was hit on the head when she was 8 years into her reincarnation. It’s not Sakura who was 20 years old. Actually how would a person confined in bed get the chance to play Otome Games or MMORPGs? >< Need moar info. My best guess is STRONKEST wanabe girl! Of course. How could she have played? Her life was empty. No! Water element is weak. The STRONGEST element is LITTLE SISTER element! this is new one. death from disease. normally it is truck-san that delivers the protagonist to the new world. How have I never noticed that before? At last my eyes are opened to the express reincarnation service run by Truck-san! I’m not thanking you just yet, O esteemed holy sheeprabbit. This one’s just a bit too vague. I’ll thank you in chapter 1. I guess this is the “Sorry Oniisama” series? It’s the only one that mentioned a novel, and the title fits. One of the few teasers that were tagged “non-comedy”, had the briefest description, and seemed like it might go a somewhat dark route. I think you are right. 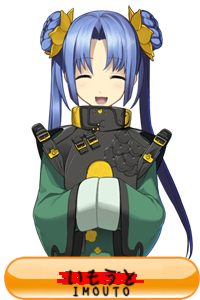 “After reincarnating in the novel I loved, I run left and right to save my beloved character from peril!” >>>>> “If I can beborn again, this time, I want to live like him.” Clearly referring to her beloved character. anyway.. a new novel to read ..
Too bad… life itself can’t reincarnate without death and death cannot live without life. ohh this one looks interestingm also I’m personally very glad you are translating average to the end and would like to thank you for that. Guys, right above “PROLOGUE” there’s a small “GOMEN NE”, which is the category this chapter is posted under. Thanks for the chapter! Or should I say teaser? And darn, that’s a sad way to die. You can get the feelings from it. Sorry, oniisama~ seems like it, right? hope for a better life for the mc.